Have you heard of Dinner in the Dark? Held monthly, these mystery dinners feature 6 courses created by 6 different local chefs. (and are paired with 6 drinks, but that's less important) When you purchase your ticket to a Dinner in the Dark event, all you know is where you need to show up, and the theme for the night. 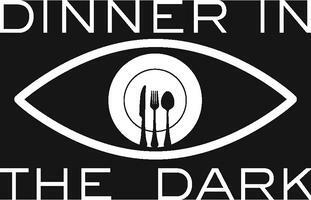 I've always, always, always wanted to go to one of these mystery dinners but the upcoming Dinner in the Dark event on June 17 is THE first all vegetarian event that they've held. The upcoming Dinner in the Dark event is being held at Good 2 Go Cafe in downtown Cleveland. Tickets ain't cheap - $87.05 per ticket including Eventbrite fees - but I don't think they should be cheap. You're getting 6 courses of quality food paired with drinks. I know I've spent more than the cost of one ticket on 6 drinks in a night. Easily. And although this event is pricey, the proceeds from every Dinner in the Dark event benefit a charity. In this case, the selected charity is Veggie U, an Ohio organization dedicated to combating childhood obesity, teaching children about healthy eating choices, and also promoting sustainable agriculture.